Read the latest from the All American Homes team! 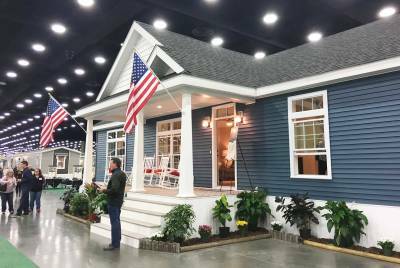 Champion Modular, Inc.’s revitalized All American Homes® lineup officially debuted last week at the Louisville Manufactured Housing Show in Louisville, Kentucky. Our series of more than 30 ranch, bonus-ranch, cape and two-story modular homes features high-end craftsmanship at affordable prices. 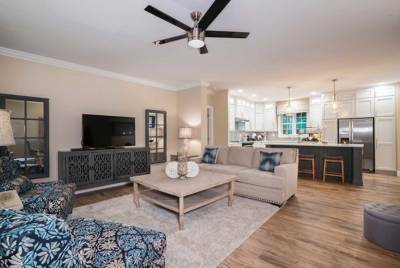 The Brooklyn — a three-bedroom, two-bath ranch model that showcases the latest in design, styling and smart-home technology — was unveiled at the show. The show home featured a stunning kitchen with Merillat® cabinets, quartz countertops and stainless-steel appliances from Whirlpool®. The master bath was well appointed with a large comfort-height dual lav vanity, framed mirrors and a fully tiled walk-in shower with rainfall showerhead. One additional feature that received positive reviews was the design room in bedroom 3, which brought to life All American Homes’ high-quality amenities. Builders and retailers had the opportunity to explore flooring, laminate and quartz countertops, cabinet doors, faucets, siding, shingles, shutters and more. Overall, we were thrilled by the successful turnout of more than 3,000 people, as well as the overwhelmingly positive reception we received for the Brooklyn model’s design and finishes. 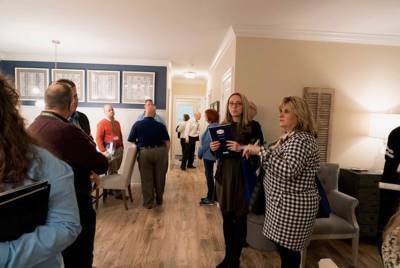 Here’s a glimpse into what the Champion team and All American’s first customer had to say about our Louisville Manufactured Housing Show experience, as well as All American Homes’ promising future in the market. “The Louisville Show was a runaway success for Champion Modular and the All American brand. Thousands of people toured the Brooklyn model and the comments were very encouraging. We are working with retailers and builders throughout the Midwest that have expressed an interest in the product and we expect to see new models in the market very soon. “I’m confident we’ve achieved what we set out to do when we decided to bring All American back. Our goals were to maintain the quality and heritage of the brand, reinforcing our commitment to the All American customers of the past, while also bringing All American to a new generation of homebuyers. These principles of integrity, quality and customer focus are as timeless as our brand, and they’ll remain the foundation on which we continue to develop Champion Modular.” -- David Reed, Vice President, Champion Modular, Inc.
“As Champion’s corporate modular guy, it has been very exciting to be part of this process. The entire brand development team, including designers, marketers and our highly skilled production team led by Ryan Bish in Strattanville, PA, worked extremely hard and the results were quite impressive. 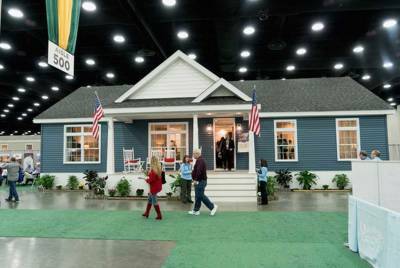 The Louisville Manufactured Housing Show was just the beginning. There’s so much more ahead for both our brand and our customers.” -- Steve Payne, Director of Business Development U.S. Operations, Champion Home Builders, Inc.